Before we get into the details, it’s important to understand that archery is a fun game that has no limits on who can practice it. Anyone can undertake it - from women to men, kids to adults - everyone! So, if you think that archery and bowhunting aren't really for you, think again. When we talk of archery equipment, the main thing that should appear in your mind is the bow. Seeing the high increase in the number of females interested in bowhunting, the archery gear manufacturers have changed the way they make their products. They’ve gone the extra step to make your newly found sport fun and thrilling by tailoring bows that meet your unique physiology and needs. They come with a shorter draw length to compensate for the height of women (who are typically shorter than men). The draw weight on a woman’s bow tends to be lower than that of other bows. If you’re a beginner in this game, I’d advise you to start with low draw weight and increase as you advance your skill. You can start with a minimal weight of 40lbs for deer hunting. And, of course, they come with sleek designs, to meet your needs for holding an eye-grabbing model that stands from the rest. Next time, don’t struggle using your hubby’s/dad’s bow or go for a cheap kid’s bow. 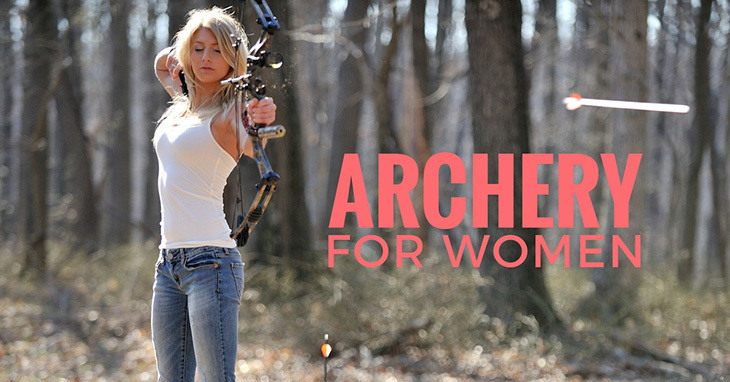 Look for a bow specially made for you, and you’ll love the sport even more. I know many beginners wouldn’t want to hear this. I didn’t want to hear it either. 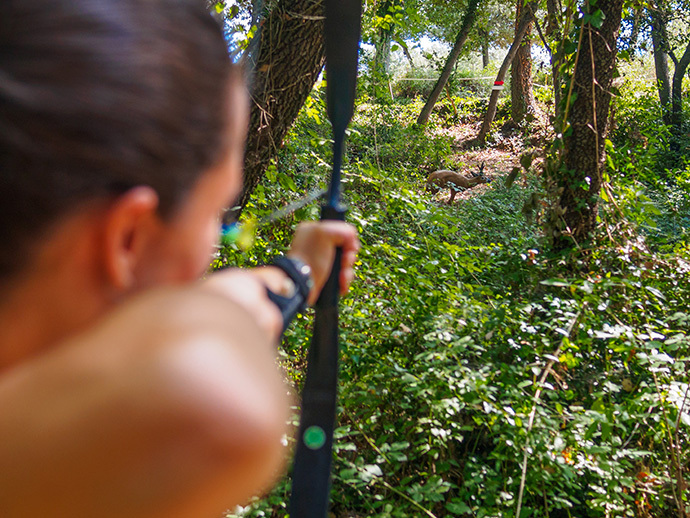 Sadly, there’s no shortcut to archery…you’ve got to undergo some training on how to use your bow and arrow correctly (as well as other archery related gear) before you actually start chasing that deer. BUT…don't worry. This isn’t hard as you might be thinking. You’ll just need to listen to and follow your instructor carefully, and you’ll be ready to go. Apparently, you might not know how to do these things if you’re a beginner. Thus, it makes sense that you’ll need to attend that class or look for a mentor to take you through the process. Again, it’s a fast, easy-to-learn process if you remain focused and determined! 3. Training isn’t enough; practice and practice will make you a better archer! 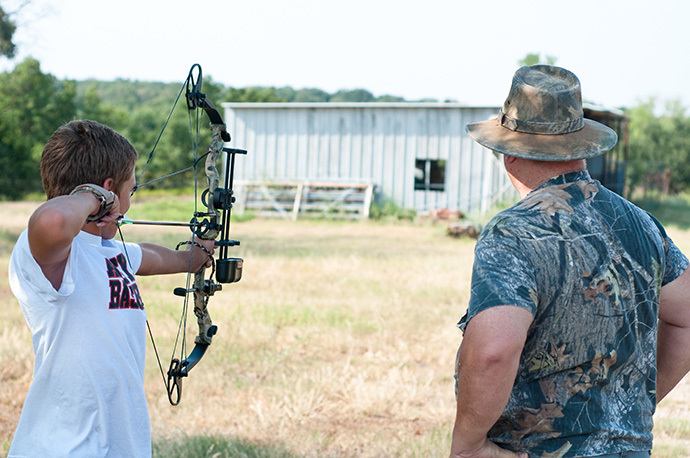 Even when you attend the best training or get mentored by a pro archer, you’ll never reach your full archery and bowhunting potential if you don’t keep practicing. That’s another painful truth I learned the hard way. Practice helps improve your accuracy and confidence when actually shooting at your target in real life. DON’T make the mistake of firing a few shots right before you set out to see if “you still have it.” This will hurt you terribly. Instead, learn to practice regularly. And don’t just practice; do it in different settings, including lifelike hunting situations to fully prepare yourself for what you’ll face when that moment comes. I remember my mentor always insisted that I practice with 3D targets set at different intervals in the woods. Honestly, this helped me improve my guestimation and fire shots that count. And oh! It also helped me notice the mistakes and challenges I’m likely to encounter while in the woods and how to easily avoid them. I’ve seen a good number of females join this sport with lots of enthusiasm, make some common mistakes on the way and eventually quit (convincing themselves that this is not their stuff). NEVER misjudge distance - the most common mistakes that will make you wound or lose that target deer. Poor placement of shots on your target; be sure to target the vital organs (heart, lungs, etc.). And if you can’t do that, take time to practice with 3D targets. It helps a lot. 5. Remember to keep SAFE! Yes, we live in a world of uncertainty, and anything can happen to you as you go about your archery practices. My simple advice to you is: always be aware of your shooting equipment (ensure they’re in good conditions to avoid any misfortunes) and your shooting environment, especially when in the woods. Bowhunting in groups is also highly advisable for your own safety.Just do everything you feel it’s necessary to keep safe when bowhunting! These are five key things all women in archery, including those who want to join the sport, need to know. To get the most out of your archery and bowhunting endeavors, start by picking the right equipment, get trained on how to use your bow and arrows, practice regularly, and avoid the common mistakes. Eventually, your efforts will pay off handsomely. Again, remember to keep safe.